Buy: $88.0 retro nixie clock six digits black pcb with 12/24 hr disp RTC and PSU included. $150.0 NICE Vintage SANYO M7880K Mini BOOMBOX with ORIGINAL BOX! 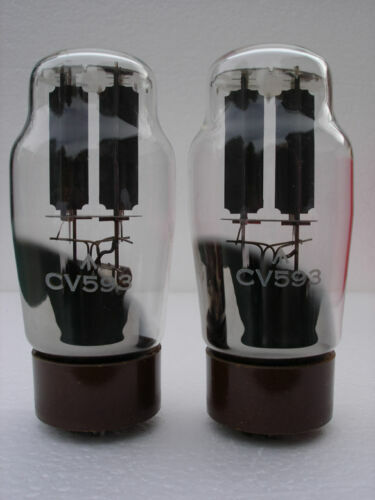 $275.0 BRAND NEW OLD STOCK 572B NOS MATCHED PAIR SVETLANA RUSSIAN TUBES FREE SHIPPING!! $84.6 Matched Pairs ( 2 tubes ) Genalex Gold Lion KT88 tubes, Brand NEW in Box ! Buy: $120.0 Carver M-500t Faceplate BLACK with Bezels, Handles, Spacers & Hardware! Buy: $79.99 SONY STR-D611 A/V Home Theater Surround Receiver Works Great! Free Shipping! $50.75 Tape Reel boxes for 10 1/2" X 1/4" reels with NAB center hubs! Lot of 10 boxes!! Buy: $36.0 6x IN-12 Nixie tubes, 4x INS-1 dot separators, 1x K155ID1 driver. USA SELLER!!! $109.99 Vintage WESTERN ELECTRIC 5A ATTENUATOR 0.2 watt nice look! !